Single sign-on is a user authentication process that allows your employees/ users to sign in to multiple applications using the same set of login credentials. This allows ease of use for the end users and ease of management for administrators. However, for your organization to be able to implement single sign-on, every business application needs to provide seamless integration with wide-ranging SSO services. But before we get into various identity protocols, directory services, identity access management (IAM) systems or third-party login used by enterprises to implement SSO, we will first discuss why your business users (employees) and enterprise IT need SSO implemented across all business applications. Convenience and user experience: Provide your employees with seamless access to multiple business applications using one set of login credentials. This means users can move between various business applications and services in a secure and uninterrupted manner, without having to specify their login credentials each time. Time efficiency and employee productivity: Significantly cut down login time and reduce chances of failed login or time spent troubleshooting – especially by unburdening your employees from having to remember multiple complex passwords. Instead, your employees only need to remember and key-in one password -- all of which helps them buckle down to work right away, thereby improving employee productivity and saving time. Centralized control and management: With a single security token (login credentials), administrators can, in one instance, enable and disable a user’s access to multiple applications, granting them complete, centralized control and ease of management. Improved security: Avail industry’s best security by using any industry acclaimed identity provider for SSO providers that invest significant resources to ensure the highest level of security as part of their identity management services. Any user even attempting to connect to an insecure site, would not submit his/her login credentials to the insecure site as all credentials are sent straight to the SSO identity provider, which serves to protect users from hackers or rogue sites. Compliance: The specialized security offerings of SSO providers in terms of their centralized authentication servers and architectures has far-reaching implications for compliance. SSO authentication systems are fairly standardized and well documented (to show adequate policies and procedures for protecting data), while also requiring more tuning, auditing, and logging to stay up-to-date and guard against any threats. As a result, SSO authentication helps companies offer better compliance with regulatory procedures and practices for data protection with centralized, well-documented and heavily audited authentication systems. Lower administrative costs: IT administrators save time and resources by utilizing centralized access management services instead of managing multiple identity providers for each business application. Additionally, SSO reduces help desk costs by significantly cutting down requests for password resets – the likelihood of which is lower with a single set of credentials compared to multiple passwords of increasing complexity, which can be difficult to remember. For integration, VIDIZMO can use your organization’s existing identity providers to authenticate employees to use VIDIZMO video platform. 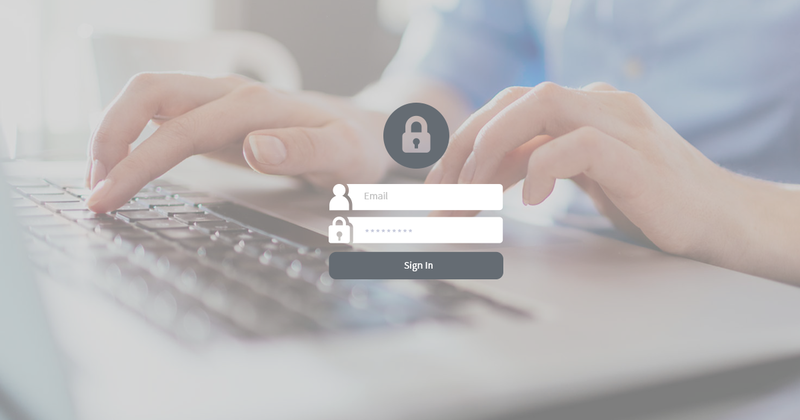 To achieve this, VIDIZMO supports a wide range of authentication protocols, including Open ID connect, SAML-P and LDAP. With the ability to integrate with any SSO authentication provider, VIDIZMO offers your organization high flexibility and low cost of SSO integration with an identity provider of your choice. Not only this but with an app model SSO integration, VIDIZMO makes the integration as easy as enabling/ disabling your identity provider from within the platform administrator interface in minutes. To learn more about how VIDIZMO offers highly differentiated SSO services such as simultaneous configuration of multiple SSO services, group synchronization, user provisioning, custom attribute mapping, SSO-enable secure content embedding and a seamless SSO integration using VIDIZMO app model, read our blog 6 Things You Should Know About VIDIZMO Single Sign-On. For a detailed breakdown of VIDIZMO single sign-on process, refer to our single sign-on datasheet or head over to VIDIZMO helpdesk for blogs detailing how to implement single sign-on in VIDIZMO video platform. To learn more about VIDIZMO, contact us today or visit our website for details.